Victory over Daesh Day, also known as simply Victory Day, is a public holiday in Iraq. It was officially established in 2017 to celebrate the defeat of ISIL in the territory of Iraq after more than three years of fighting. ISIL (the Islamic State of Iraq and the Levant), ISIS (the Islamic State of Iraq and al-Sham/Syria), IS (the Islamic State), and Daesh are the names of a Salafi jihadist militant group that has been designated as a terrorist organization by the UN and many individual countries. It was founded in Jordan in 1999 under the name Jama'at al-Tawhid wal-Jihad (Organization of Monotheism and Jihad). After several mergers with other jihadist groups, it was established as the Islamic State of Iraq in 2006 and adopted its current name in 2013. ISIL gained global prominence in 2014, when it launched a major offensive in Northern Iraq and took control of Fallujah and other key cities. On June 9, 2014, ISIS militants took over Mosul, the second most populous city in Iraq. They seized control of police stations, government offices, and the airport, as well as looted the Central Bank. Over half a million people fled the city to escape being captured by ISIL. On June 29, ISIL announced the establishment of a new caliphate named the Islamic State. Although the IS only had control over parts of Syria and Iraq, it claimed authority over all Muslims worldwide (naturally, mainstream Muslim groups rejected its statehood, as did the United Nations and most governments). Abu Bakr al-Baghdadi, the leader of ISIL, was appointed the caliph of the Islamic State. The civil war between the Iraqi government and ISIL lasted for almost four years. During the civil war, the Iraqi Armed Forces were assisted by allied groups, Iran, Syria, Iraqi Kurdistan, and the Combined Joined Task Force – Operation Inherent Resolve established by the US-led international coalition. By April 30, 2015, government forces retook almost 30 % of the territories that had been captured by ISIL, including the entire province of Diyala. In December, Ramadi was liberated from ISIL forces. 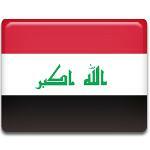 The following year, the Iraqi government regained control of Hit, Ar-Rutbah, and Fallujah. On July 10, 2017, the Iraqi Army captured Mosul and launched operations to regain control of what remained of IS-controlled territory in Northern Iraq. On December 9, 2017, the Iraqi government declared the war with ISIL to be over. The following day, Prime Minister Haider al-Abadi officially announced that the last remnants the Islamic State had been driven from the country. To celebrate the victory, December 10 was designated as a public holiday named Victory over Daesh Day (in Iraq, the Arabic language acronym Daesh is used more often than the names ISIL, ISIS, or IS). It is marked with military parades and other celebratory events honoring the Iraqi Armed Forces. However, it should be noted that ISIL continued an insurgency even after the end of the Iraqi Civil War. Hundreds of people have been killed by suicide bombers and ISIL militants despite the Iraqi government’s claim of victory over ISIL.